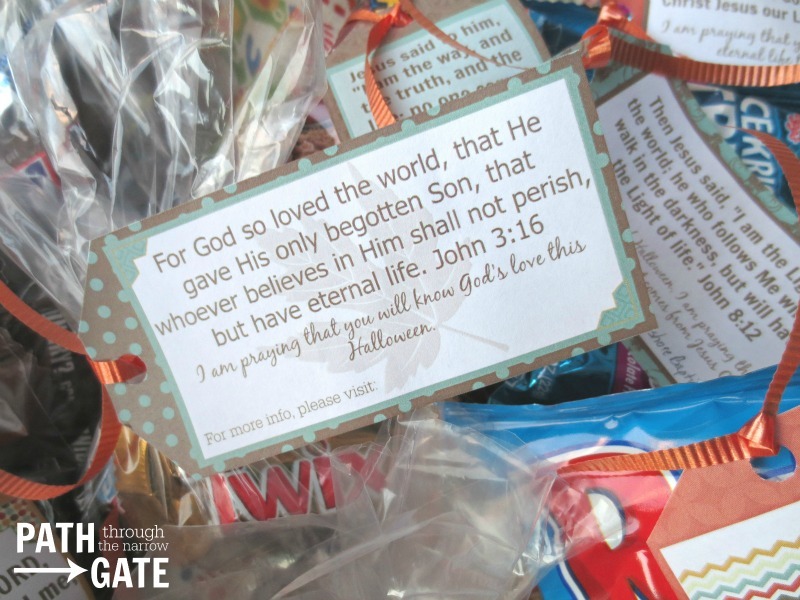 How Should Christians Respond To Trick or Treaters? When I was growing up, my family did not participate in trick or treating. One Halloween, when I was six years old, there was a knock on our front door. I opened it and was surprised to see a little girl, about my own age, dressed up in a costume. The little girl held out a bucket full of candy to me. I reached in, took a couple of pieces, thanked her politely, and closed the door. My mother came into the room just in time to return the candy to the sobbing little girl and explain to her irate mother that we don’t do “trick or treating” and that I didn’t mean to steal her candy. The girl’s mother was not amused. 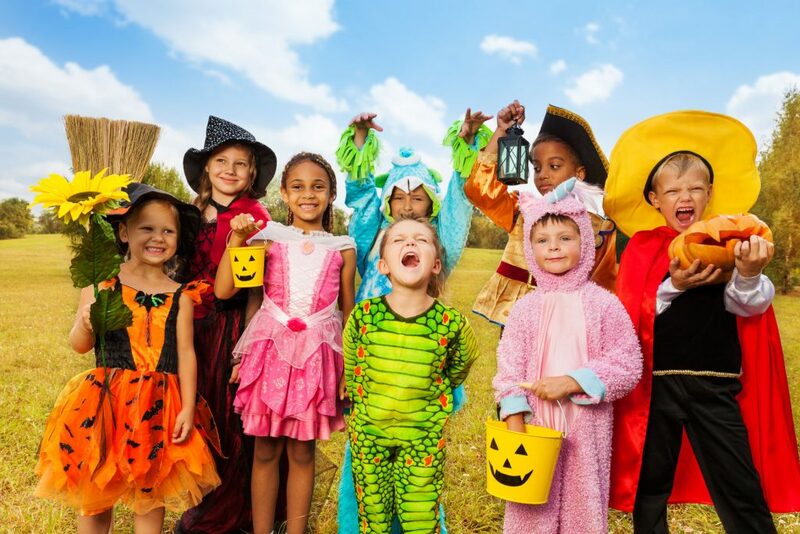 This confusion about Trick or Treating is still very prevalent among Christians today. Every October, my facebook feed will have two or three articles about the evils of Halloween as the “Devil’s holiday”, while many other Christians see trick or treating as merely a fun tradition. Who is right? Is handing out candy to a little neighbor boy dressed up as Batman really an evil activity? What is a Christian supposed to do with Halloween? Sometimes, in the midst of the debate, I think that Christians miss the mission field. We are called to be lights in the midst of a dark world. And doesn’t the light shine brightest when it is darkest? I do not want to encourage anyone to violate their conscience on this matter, nor do I do want to guilt-trip anyone into thinking that they have to witness on Halloween. But I am asking, could we use Halloween as a time to reach out to our neighbors and let them know that we are Christians and that we care about them? Sometimes, just simply letting our neighbors know that we are Christians and that we are approachable is a bridge that can lead to a relationship which can lead to an opportunity to share the gospel. Often when I think about evangelizing and witnessing, I get scared because I think that I will be required to share my testimony with complete strangers. Maybe I am over-complicating it. Maybe witnessing is just taking that first little step – handing out a verse or a track with a piece of candy on Halloween night. 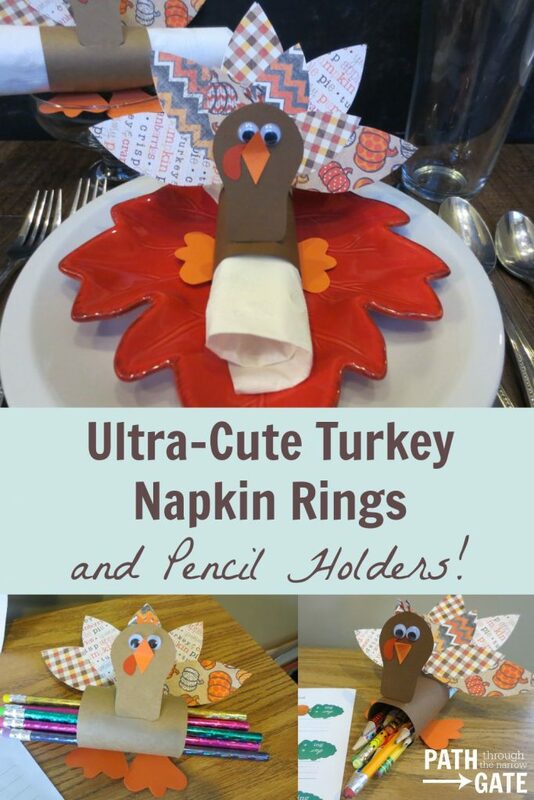 Many excellent resources can also be found at chickpublications. 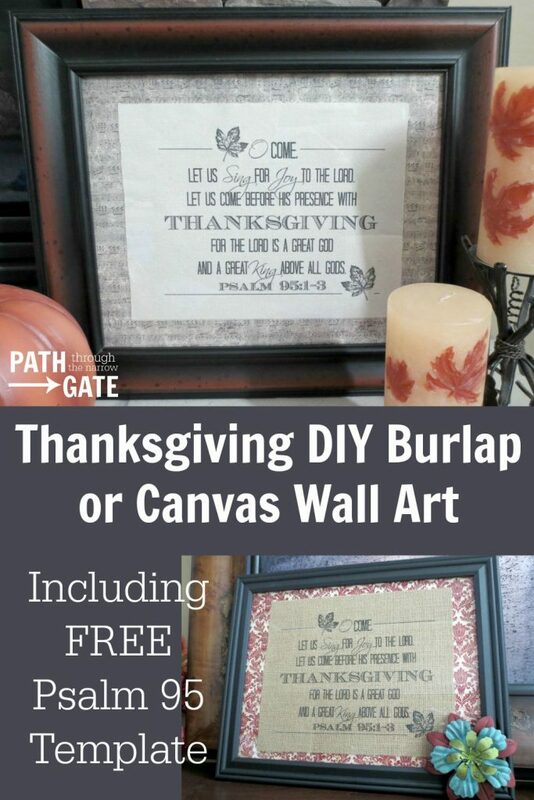 This site includes inexpensive and fun tracts, designed especially for Halloween, as well as more ideas for using Halloween as an opportunity to witness. On Halloween night, the mission field is coming to us. Let’s not slam the door in their faces or (worse yet) pull candy out of their little buckets. Let’s use this opportunity well and give them a smile and a verse, along with a yummy treat. Who knows what opportunities might open up as a result? 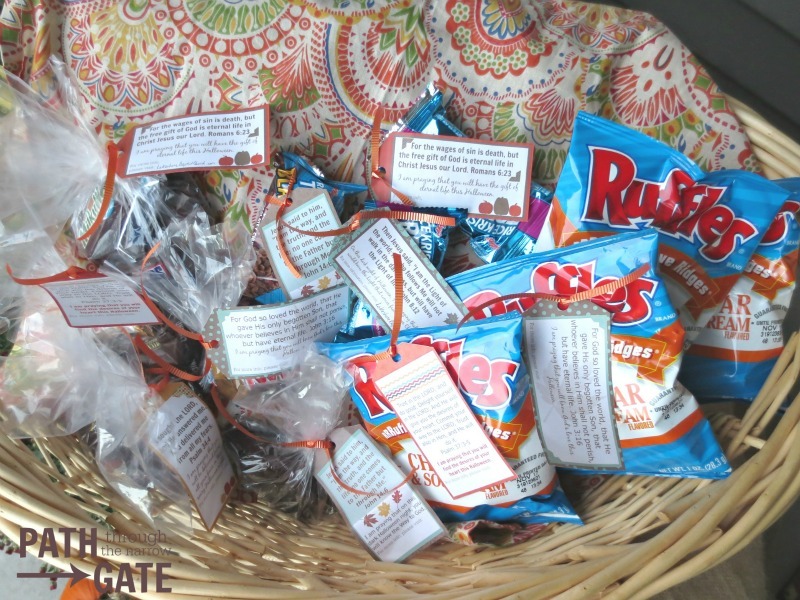 Are you looking for more Halloween resources for Christians? 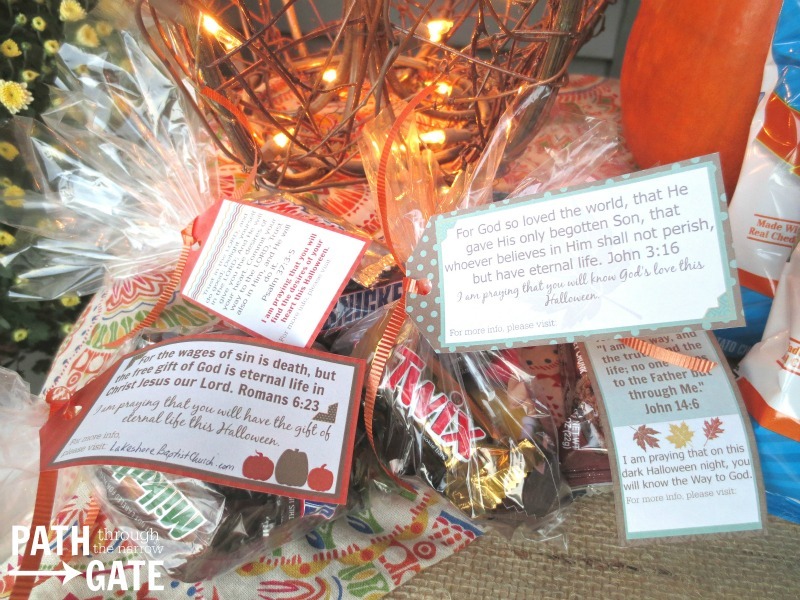 Be sure to check out the new Bible study, A Sweet Opportunity: Finding the Gospel in Halloween. 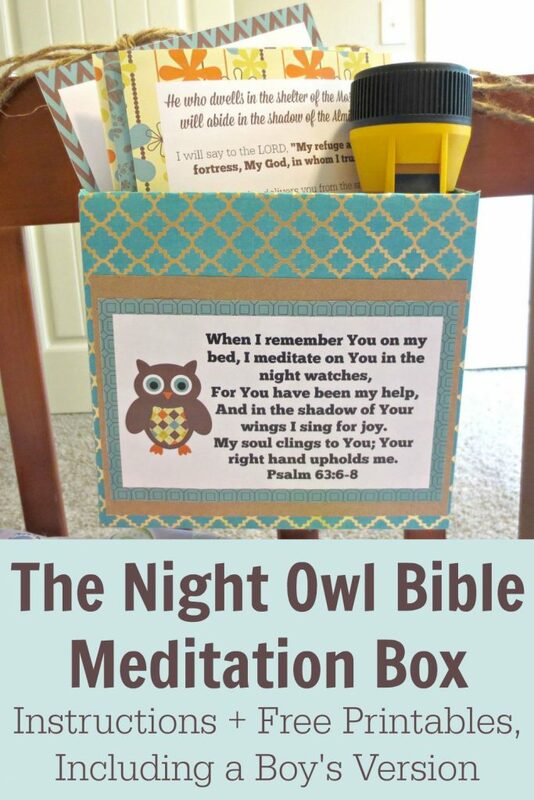 This Bible study is written for families with kids ages 9 – 14 years old. It will help to open up discussions about Halloween in a fun, non-legalistic, and gospel-centered way.